DESCRIPTION FROM THE BOOK JACKET: How do you know someone after they’re gone? Frenchie Garcia didn’t know she would be the last person to see Andy Cooper alive. She barely knew him. So why did he choose to be with he before he committed suicide? Her imaginary pal Em (a.k.a Emily Dickinson), who Frenchie visits regularly at her favorite place–the cemetery–is the only one who knows about her last hours with Andy. With guilt and confusion mounting, can Frenchie pull off the one thing that could give her closure? MY TWO CENTS: Frenchie goes on a road trip with a super-cute new “friend” Colin to make sense of what happened the one and only night she hung out with Andy Cooper, the boy she loved from afar through high school. Frenchie is haunted by the usual questions when grieving: Why? Why him? What could I have done to help him? Could I have stopped him? The last two questions are most painful because she was the last person to see Andy before he died, and, therefore, feels responsible. Sanchez easily blends heart-wrenching grief with regular teen angst, serious moments of conversation with quips like, “Get up, Loser!”from Robyn, Frenchie’s friend who knows something is wrong, but isn’t sure what. 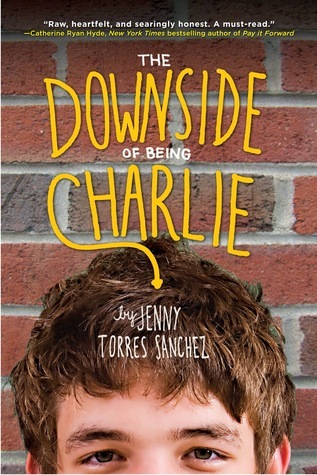 Also, Frenchie Garcia is a Latina protagonist in a book that isn’t about being Latina. Frenchie is an artist who likes punk rock and Emily Dickinson; she’s a young Latina who doesn’t speak a single word of Spanish in the novel. Some readers/writers/bloggers have asked for more books with diverse characters who are not dealing with issues of ethnicity, culture, race, etc. This is a good example. TEACHING TIPS: What student wouldn’t fill an entire notebook about a day they’d like to do-over? This is a perfect before-reading activity that could be revisited and added to as the novel continues. As Frenchie leads Colin through her last night with Andy, students could write about their chosen “do-over” night, what they’d do differently, and what they’d discover. By the end, students have read a cool book and written a personal narrative! Emily Dickinson’s poetry is made for close reading, which is all the rage with the new Common Core State Standards. Students could read and re-read any of Dickinson’s poems featured in the novel. Close, multiple readings allow students to analyze work down to the word level to gain deeper meaning. In this case, students would gain a deeper understanding of Dickinson and Sanchez’s novel, as they could discuss how the poems fit with the novel. AUTHOR: Jenny Torres Sanchez lives in Orlando, Florida with her husband and children. Before writing her debut novel, The Downside of Being Charlie, she taught high school for several years. She credits her eclectic students for inspiring her to write young adult novels. 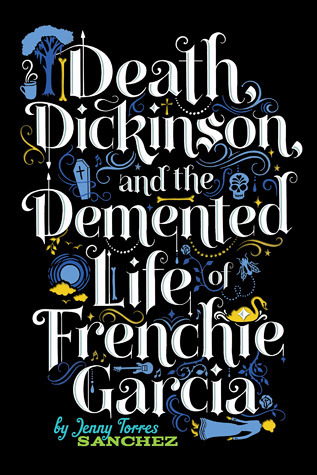 FOR MORE INFORMATION about Death, Dickinson, and the Demented Life of Frenchie Garcia, visit your local library or book store. Also, check out Running Press Books, IndieBound.org, Goodreads, Amazon.com, and Barnes and Noble.com. Sounds like a really interesting read. I hadn’t heard of it before, but I’m adding it to by TBR list! Ditto! I’ve just requested this from my library, and I can’t wait to get my paws on it.